Assassin’s Creed: Syndicate – More of the Same? That’s Okay! This week, Ubisoft officially announced the next Assassin’s Creed game would be titled Syndicate and confirmed it would take place in Victorian era London. As has become standard for the Internet, responses ranged from eager anticipation to bemoaning a release of yet another Assassin’s Creed game that is essentially the same game repackaged with a new coat of paint. The first Assassin’s Creed was released in 2007 and in the past 8 years, there have been 9 entries in the main series with an additional thirteen side games, as well as comics, graphic novels, a short film, animated shorts, and soon a full length feature film starring Michael Fassbender. It’s hard to argue that’s not a lot of games in 8 years. It is. Focusing on the main series, 9 entries is essentially a new entry in the main series every year with a little short of here and there to squeeze an extra in that cycle time. This has led to some gamers seeing Assassin’s Creed as old, dull, boring, or a cheap rehash of the same game with nothing new. Some would prefer more creativity and true innovation in each sequel with longer cycle times while others are happy to play the games as they are each year. With the exception of when they’re released buggy as all get out. Essentially, Assassin’s Creed has become Ubisoft’s Call of Duty, a franchise that uses the same engine and same gameplay with each installment allowing for short cycle times and fast turn around getting the product out. Personally, I’ve played every installment except for Rogue and have yet to play Unity. I own it, I just haven’t gotten to it yet. I actually acknowledge it’s the same game each time with a new location, but I’m actually okay with that. It’s not exactly a new phenomenon in the game world either. 8 games in 9 years with only two missing an annual release. The question, though, is whether or not this rehashing with a few new bells and whistles is acceptable or not. Personally, I’d argue it is. Assassin’s Creed is Ubisoft’s tentpole movie if they were a Hollywood film studio. Paramount Pictures has a proven track record that year after year they will make millions of dollars on sTransformer, though I’d actually take any Assassin’s Creed plot over Transformers films myself. Essentially, Ubisoft knows they’ll make money with each installment with minimal development time and minimal investment. It’s a low risk, high return on investment game. Some will feel that’s bad from a perspective of the art and craftsmanship of a team making the games, but I again point to Hollywood. Not every movie, nor every game, needs to be a critically acclaimed artistic achievement. Some are summer blockbusters you enjoy with popcorn, talk about for the weekend, and maybe watch again later on DVD, Bluray, or Netflix. Maybe you make your child watch/play through it one day. The reason I compare it to the Hollywood tentpole movies is that it serves a similar purpose. It keeps revenue coming in and allows Ubisoft to continue to operate and take chances with other games. For every wildly profitable Assassin’s Creed they publish, they can take chances on smaller games and new IPs like Watch_Dogs, Child of Light, or Valiant Hearts The Great War plus games like South Park The Stick of Truth. Ubisoft isn’t a one trick pony milking their only cash cow. They’ve made a lot of games. 76, to be precise, of varying types just between Assassin’s Creed and Assassin’s Creed II, for example. If the profits weren’t rolling in from the blockbuster title each year, would we have gotten Child of Light or Valiant Hearts at all? Valiant Hearts was already a labor of love that almost didn’t get the okay to be made. And while, yes, Ubisoft doesn’t make award winning game after award winning game, it’s still good for them to be doing some exploration with other ideas and genres. Plus Watch_Dogs likely wouldn’t have been made at all if it weren’t for Assassin’s Creed’s success. 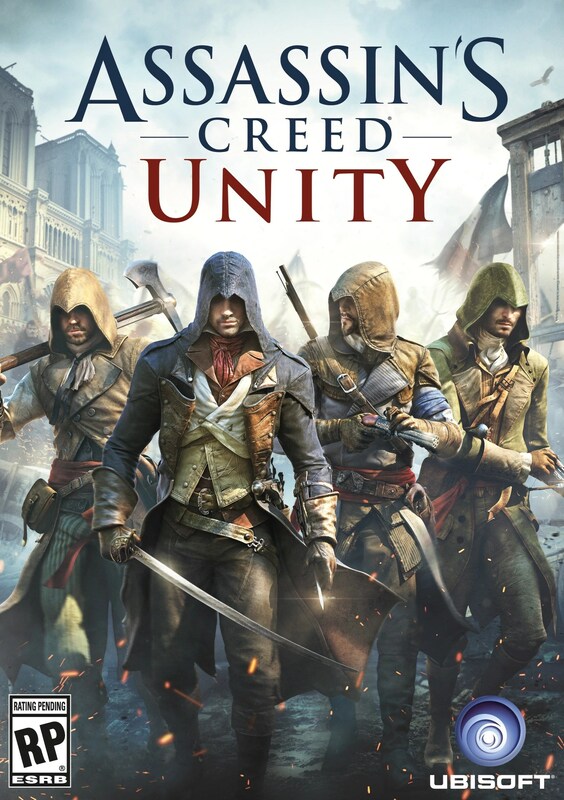 That game had its share of complaints as well, but I wager the second is going to be a huge improvement much like the leap from Assassin’s Creed to its first sequel and may give Ubisoft two flagship games to generate revenue and allow for more experimentation with other games as well. So whether you’re like me and love some stabbin’ each year or you’re tired of Assassin’s Creed entirely, I think it’s worth remembering that so long as the games are bringing in a profit, it’s quite likely that we all could benefit from it allowing Ubisoft to bring other games forward in the future. Microsoft dropped a bit of a bombshell on everyone at Gamescom this year when they announced Crystal Dynamics’ Tomb Raider sequel ‘Rise of the Tomb Raider’ would be an exclusive release on Xbox One. Gamers predictably reacted less than unanimously in favor of Microsoft’s announcement. Why would gamers be upset? Isn’t console exclusive titles par for the course? Well, yes and no. There’s a few reasons this was a bad move for Crystal Dynamics but equally bad for Microsoft. For the week of August 9th, VGChartz has PS4 sales at 9.4 million units (though Sony stated at Gamescom it has sold over 1- million now) against the 5.1 million units Xbox One has sold. For that same week, not a single Xbox One title appeared on the global top 10 software chart. To be fair, PS4 only had one title, but it was #1 with ‘The Last of Us Remastered.’ PS4 is doubling Xbox One sales globally and even outselling the console in the US, which has traditionally been Xbox One faithful as it’s Microsoft’s home turf. In fact, more than a few weeks, even the WiiU has sold more units globally than Xbox One. It’s clear Microsoft is feeling the need to lock in some major titles and gain some ground in the latest round of the “console wars” and it’s looking for a strong system seller to help gain that ground. WiiU has seen a surge after E3 with some strong titles announced and Mario Kart’s release for the system. It’s no secret that a handful of strong games can really move systems. However, Rise of the Tomb Raider is not the game that can launch Xbox One back into the game with a vengeance. In fact, I think the announcement further hurt Microsoft. Microsoft has erred and made misstep after misstep since Xbox One was revealed. With the unveiling spending the vast majority of their time talking about television connections that many users outside the US would be unable to benefit from, television productions they’d be working on with Steven Spielberg, and sports sports sports (that gamers outside the US wouldn’t really care about), Microsoft concluded the system’s unveiling leaving gamers vocal about feeling left out in the cold as an afterthought. It didn’t help that there were features announced that made gamers very uncomfortable. No more used games and a heavy handed DRM policy set the Interwebz ablaze with outrage over Microsoft trying to control gamers and dictate how much they actually owned what they purchased. E3 came around and it was time for Microsoft to right the ship and get gamers back on their side. Instead, they continued to insist their vision was the future of gaming and their system was designed with their vision in mind. Angry Joe even asked Major Nelson directly about turning off some of these features and was told with quite certainty that it wasn’t so easy to just deactivate these systems. The Kinect would be always on, you had to be always connected or at least check in once per day for your games to function, there would be no disc after installation and used games would not be an option unless possibly paying for an activation code which rumors had spread of costing almost as much as a new game. Microsoft tried to promote the idea of sharing one’s games with friends so friends didn’t have to buy it, but full explanation of this feature, which some believed to be a glorified demo program, was never given. Some gamers defended Microsoft, pointing to Steam and its frequent sales (which will bleed you dry faster than buying new games because, honestly, how do you say no to some of those deals?) as an example of what Microsoft was trying to do. The problem, however, is Microsoft never indicated anything of the sort. And therein lies the problem with Microsoft’s build up to the launch of the Xbox One: they had the most disastrous public relations team in recent memory. It wasn’t necessarily that their plans were bad, but their legal caution and double speak, their reluctance to commit to answering gamers’ biggest concerns and questions, and their overall attitude that they knew what gamers wanted more than gamers came off extremely arrogant and seeming like they were hiding something. There was no sense of a clear vision and a road map into the future they were wanting to go towards that they were willing to share. And that makes people nervous. Jump ahead more than a year later and Microsoft walked right into the same scenario with this announcement for Rise of the Tomb Raider. They announced it was going to be released exclusive to Xbox One in holiday 2015. People were stunned and confused. Tomb Raider was, and has always been, and multi-platform title. The original Tomb Raider was on Playstation and PC. Later games were on PS2 and Xbox. PS3 and Xbox 360. And most all of them on PC. The Tomb Raider reboot was on PS3, Xbox 360, and PC and the Definitive Edition sold on PS4 more than 2:1 against Xbox One sales. Yet Microsoft was announcing that they had struck a deal with Crystal Dynamics and Square Enix to make the sequel exclusive to their system in 2015. Gamers have become a savvy bunch and they, and gaming press, were quick to latch on to Microsoft being careful to include “holiday 2015” or just “2015” in their comments about the exclusivity. It became frustrating, however, when they were asked directly if this was a timed exclusive and Microsoft representatives would only repeat the press release lines of “exclusive to Xbox One in holiday 2015.” It was the same “something to hide” sensation they had given with E3 the previous year. Eventually, a few days later, Microsoft would acknowledge they didn’t have an exclusive deal in perpetuity, but gamers were already irritated with the announcement. Even Xbox faithfuls in some forums were baffled by the decision and many simply felt it wasn’t right to take a multi-platform game and lock the sequel into an exclusive agreement, though many on both sides were willing to grumpily accept it as a timed exclusive. I can’t help but wonder, though, if Microsoft would have come out better in the whole deal if they would have just come clean and been up front and honest out of the gate. Announce that holiday 2015 would see Rise of the Tomb Raider release first on Xbox One as a holiday exclusive and leave it at that, perhaps throw in a tongue in cheek remark about Lara having teamed with Xbox One to show “that other guy” how adventuring is done. It was made pretty clear this was their way of competing with Uncharted, why not just admit that in a smile and wink kind of way? Sony has really excelled with their marketing and PR this generation. They’ve joined the gamers in taking shots at their competition, though I think Sony does it far more playfully than their fans tend to. He took a shot at Square Enix saying they wanted Tomb Raider to be uncharted – not on the charts – by limiting it to the smaller installation base. He took a shot at his own company saying he thought they were revealing nine PS Vita games at Gamescom, but it was actually nein. He even recently commented on twitter that PSN had released “PSN Outage: Remastered” as the remaster of the 2011 network issues “in glorious HD” with the DDOS attacks PSN suffered this weekend. Some may find it to be taking issues too lightly or attacking his competition, but I think it’s gone a long way to make Sony feel like “one of us” among gamers while Microsoft has come across more and more as the greedy corporation that cares about money instead of making fun games. Regardless of Microsoft’s strategy and the public’s perception of them with Xbox One, Rise of the Tomb Raider is not a system seller. Sony has been pushing to present major announcements and exclusives to their system. Bloodborne, The Order, Uncharted are all Playstation exclusives. They revealed the Hideo Kojima/Guillermo del Toro Silent Hills project with a playable teaser available for download at announcement. They’re still presenting themselves as a huge partner to indie developers. They’re coming across as a company that has learned from past mistakes and understand what gamers want. Microsoft seems like they’ve lost sight of their system as a gaming console in their push for all-in-one entertainment. I’ve admittedly never been an Xbox fan and I’ve always felt Microsoft has made a chief focus of their strategy to be “throw money at it until we win,” so this feels like more of the same, but that doesn’t make me feel justified or righteous for my opinion on them. A weak Xbox One will likely lead to a complacent PS4, just as a strong Xbox 360 forced a struggling PS3 to step up what it had to offer. The disappointing thing in this is they’ve recently announced lay offs and their forecast for original IPs exclusive to their system remain slim. Microsoft needs to put their money into some system exclusive games that are new for them rather than paying off third parties for limited time sequel exclusives. Essentially, Microsoft needs to find the right developer or do it in-house and find their Mario Kart 8.